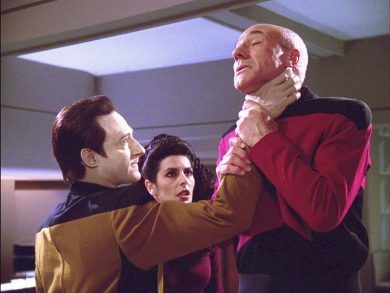 It’s business as usual on the Enterprise until Troi, Data and O’Brien start taking hostages in Ten Forward. Could it be the “ghosts” of a long lost star ship crew influencing their actions? Find out when we put Power Play into the Mission Log.